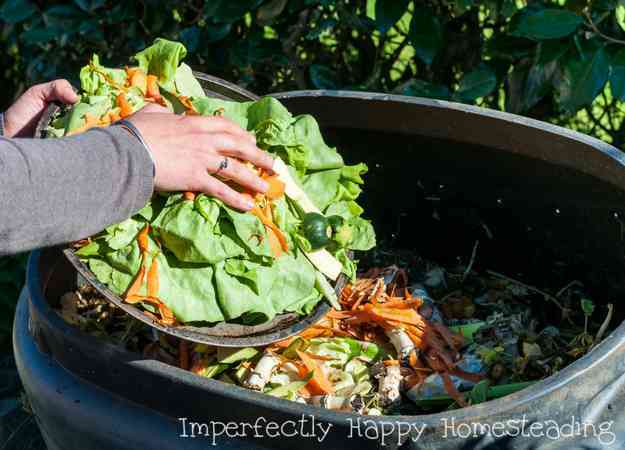 Compost is one of the easiest and most enriching thing you can add to your garden soil. Not only does it make beautiful black soil, full of nutrients, for free; composting takes garbage and re-purposes it instead of throwing it in a landfill. We currently have 3 compost bins in different stages of breakdown. Colored paper can contain toxic components like heavy metals and should not be part of your compost pile. This may include colored newsprint. Items with no life like metals, plastic, glass and some treated lumbers should be avoided. Not only are the filled with chemicals and toxins, they simply will never break down in the pile. Dog and cat feces can be contaminated with a number of diseases that can make it unsafe and even harmful to YOU. Not to mention both have an obnoxious odor that your neighbors won’t thank you for….but the flies will. These items will attract all kinds of pests and animals to your pile and frankly it will stink. Additionally these items take a very long time making it a log time for your compost to be usable. Not recommended. These poisons are meant to kill. We are trying to feed the little microbe world in our compost pile. Stick to organic materials and you’ll bethankful. Be careful picking up materials at parks or from neighbors if you don’t know what they are using on their plants. The diseases from these plants could breed in a compost pile and spread quickly throughout a garden as part of your soil. The safer bet, just trash ’em. Just go back to the pet waste… Now if you have a composting toilet there may be hope for “it” but I have zero experience with those. Feminine products, diapers (including baby poo) and the like. If attracting unwanted nasty pests to your pile isn’t enough; these can pose serious health risks, chemicals and toxins. No, just no. Breads, pastas, baked goods, etc (even rice) won’t hurt your pile necessarily but it is like rolling out the red carpet for vermin, roaches and other pests. And since they aren’t a living food they don’t add a lot of nutrients to the pile for the trouble they may cause. Check out how you can make a DIY Compost Bin! Composting is one of the easiest and most beneficial things you can do for your garden and your local landfill. Go forth and compost!